In partnership with the American Antiquarian Society and other leading repositories, Readex has launched five new historical newspaper collections in diverse yet vital areas of 19th-century American history, culture and society. The collections are definitive in their treatment of the subject matter, and offer students and scholars valuable new paths for discovery and assessment. Holds immense value for students and scholars of not only religious and theological history, but also American history as a whole. Religion was the epicenter of nearly everything in the 19th century, and this collection reflects that influence, providing 320+ papers from more than a dozen major and denominations. 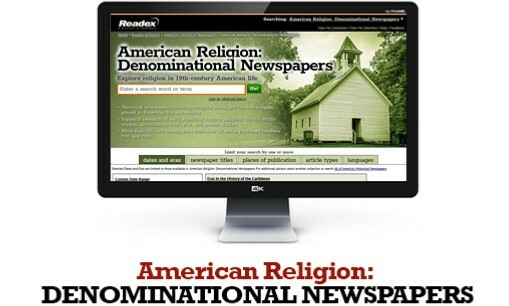 Far exceeding inspirational homilies, the editors of these newspapers took stands on the biggest issues of the time: slavery, women’s suffrage and many others. 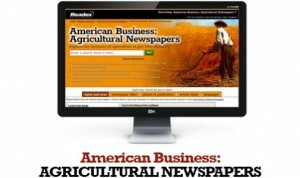 Offers an exclusive focus on agriculture, agricultural technology and the economics of farming. Agriculture was the dominant American business in the 18th and 19th centuries, fueling the social and economic engine that built the U.S. This unique collection provides 200 newspapers essential for understanding America’s agrarian heritage, national character and cultural values. Provides statistics-laden content through nearly 500 papers spawned by the rapid growth of shipping and international trade. Targeting wealthy merchants, professionals, and the educated elite, mercantile papers often were voluminous with a very large format, making production and subscription expensive. 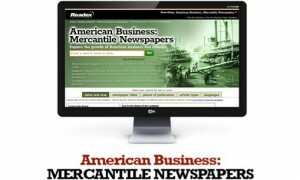 This matchless collection contains a goldmine of not only essential business data but also independent general news coverage and objective reporting. Delivers more than 100 titles that complied with prevalent town and city government requirements in the 18th and 19th centuries to publish official pronouncements and other important documents. Rich with facts and figures as well as vital coverage of meetings, notices, laws and news, this indispensable collection provides a trove of illuminating information. Is the only collection of 19th-century American papers devoted to political campaigns and issues. 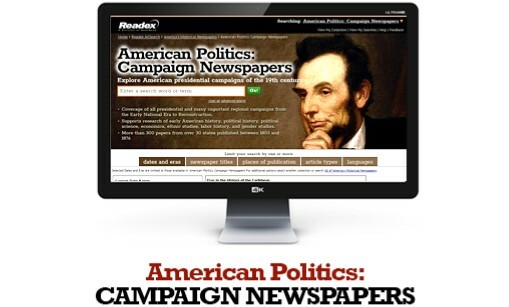 Through more than 300 titles, this resource features rich coverage of all presidential and important regional campaigns from the Early National Era to Reconstruction. 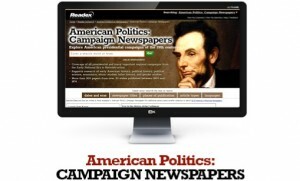 These campaign newspapers document the issues, arguments and opposing viewpoints that shaped U.S. political history.